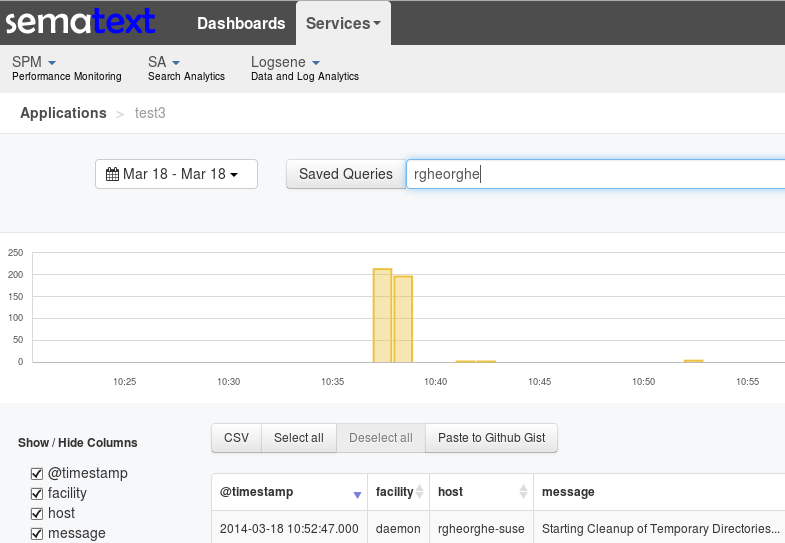 Let’s assume you want to send your logs to Elasticsearch, so you can search or analyze them in realtime. If your Elasticsearch cluster is in a remote location (EC2?) or is our log analytics service, Logsene (which exposes the Elasticsearch API), you might need to forward your data over an encrypted channel. There’s more than one way to forward over SSL, and this post is part 1 of a series explaining how. If you prefer Logsene’s Kibana UI, or you run your own Elasticsearch cluster, you can run make your own Kibana connect to the HTTPS endpoint just like rsyslog or Logsene’s native UI do. If you’re using Logsene, all you need to do is to make sure you add your Logsene application token as the Elasticsearch index name in rsyslog’s configuration. If you’re running your own Elasticsearch cluster, there are some nice tutorials about setting up reverse HTTPS proxies with Nginx and Apache respectively. You can also try Elasticsearch plugins that support HTTPS, such as the jetty and security plugins. Feel free to contact us if you need any help. We’d be happy to answer any Logsene questions you may have, as well as help you with your local setup through professional services and production support. If you just find this stuff exciting, you may want to join us, wherever you are. Stay tuned for part 2, which will show you how to use RFC-5425 TLS syslog to encrypt your messages from one syslog daemon to the other.